Good governance is necessary for effective public administration and delivery of public goods and services. This is an important issue for all countries, but in particular for rapidly developing countries such as China where reform of governance and public administration is a key element of the public policy agenda. This book explores the key issues in governance and public administration facing China’s policy-makers today. 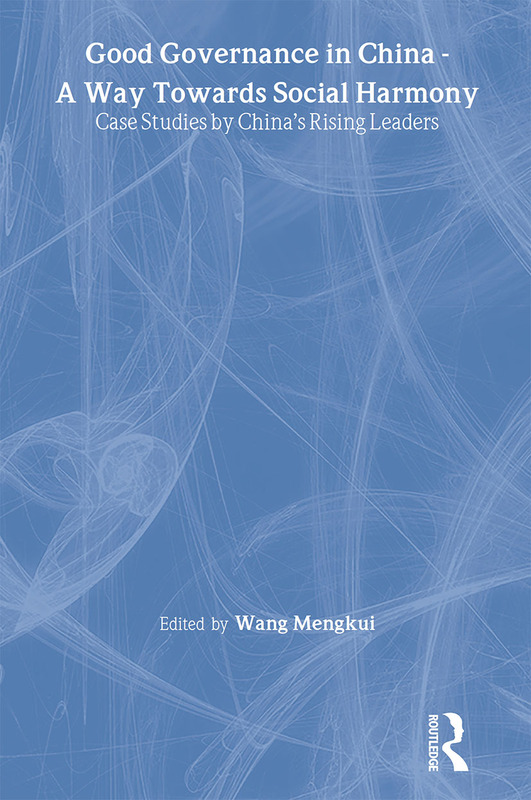 Edited by Wang Mengkui, the former President of the Development Research Center of the State Council, and Chairman of the China Development Research Foundation - one of China’s leading think-tanks - it contains 36 papers selected from nearly 300 case studies presented by participants in the China’s Leaders in Development Executive Program. The authors are outstanding and experienced officials, and together represent the voice of China's new rising generation of leaders, policy-makers and officials. The cases are based on first-hand information and experiences either from the officials’ personal involvement, or their own in-depth investigations. The chapters cover a wide range of issue areas, such as institutional reform, urban construction, social governance, crisis management, resource and ecological environmental management, education and public health, and economic reform and development. Taken together, it provides an invaluable resource for anyone seeking to understand China’s own thinking on its governance and public administration. Internet cafés: what else can be done in addition to rectiﬁcation? How was a collective complaint arising from land acquisition solved? Should government-supported projects causing pollution be permitted if civilians are not allowed to be involved in those projects? College graduates ‘go to mountains and villages’ – idealistic or realistic? How can a good thing be well done?